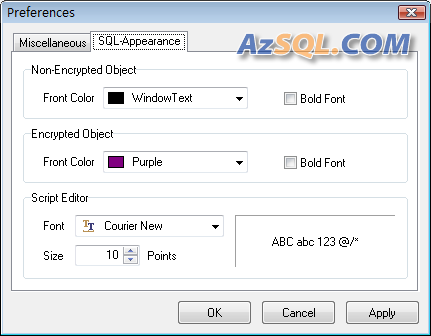 Its user-friendly interface allows for easy viewing of encrypted code of any size and complete SQL Script quickly and exactly. 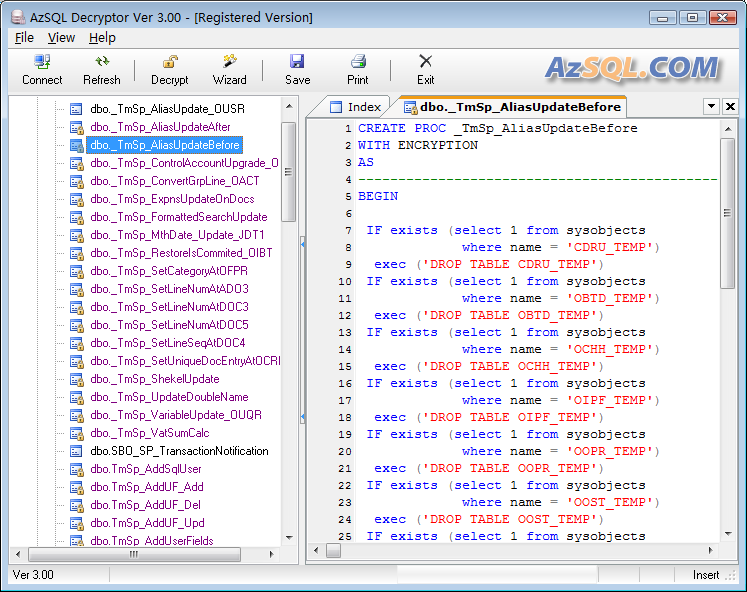 This decryptor is very suitable for Database Programmer & DBA. Full support for Microsoft® SQL Server 2000, 2005, 2008, 2012, 2014, 2016 and Microsoft® Database Engine (MSDE). 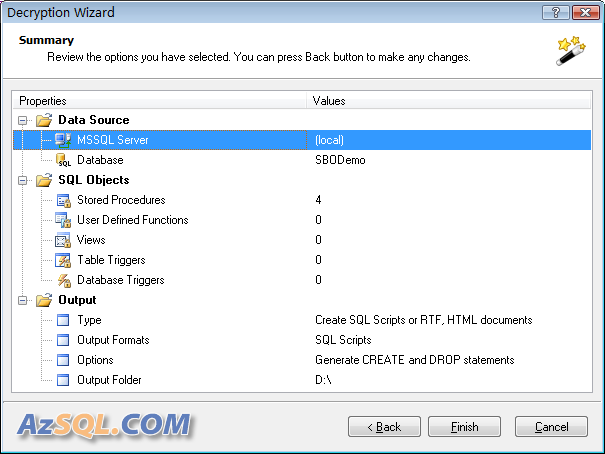 All stored procedure types are supported except for procedures that use grouping. 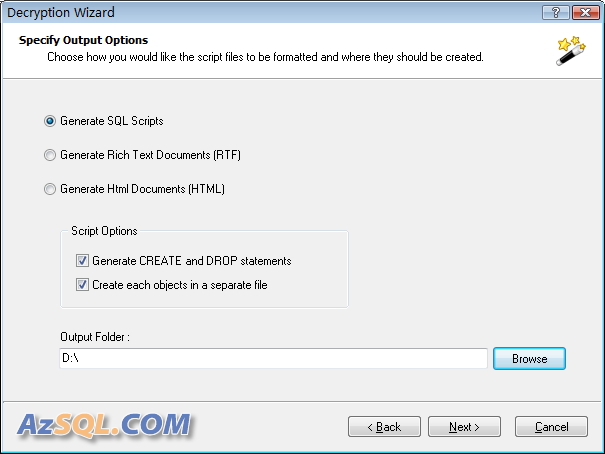 Grouped stored procedures will be decrypted as a single object and syntax highlighting will not function properly with them. The recommended steps to take to decrypt procedures that are grouped is to export them to a file and then manually make the proper modifications. All types of triggers are supported by the Decryptor including view triggers. This includes triggers created with the FOR, AFTER and INSTEAD OF attributes. 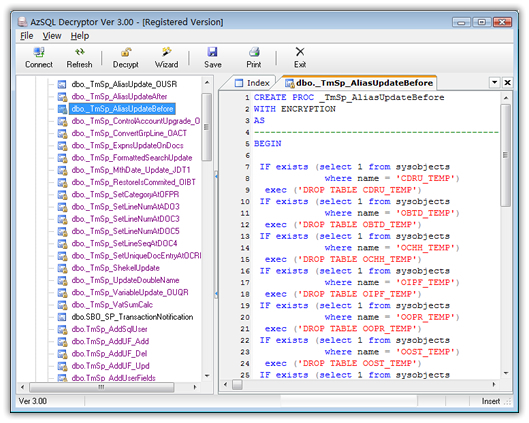 All three types of user defined functions (scalar, inline table-valued and multi-statement table-valued) are supported by the Decryptor. All types of views are supported by the Decryptor. 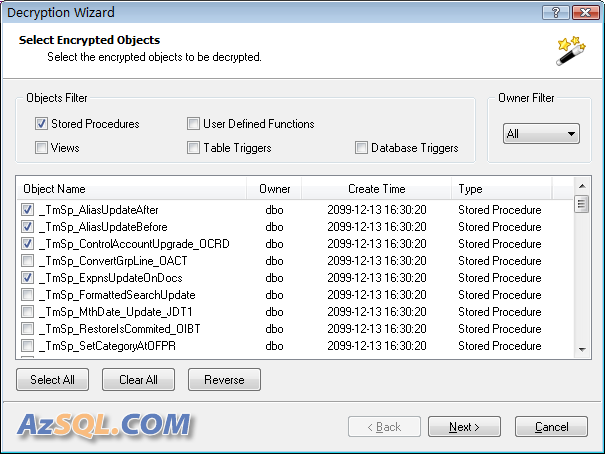 All types of database triggers are supported by the Decryptor including view triggers. This includes triggers created with the FOR, AFTER and INSTEAD OF attributes. MSSQL 2005 or Later Only.